Kentucky Cutlery Firefighter Rescue Knife. YBLTV Review by Sarah Kepins. 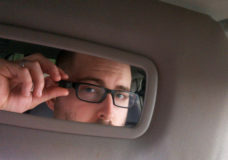 Life is a mystery and things happen unexpectedly. That’s why you need a handy pocket knife to prepare yourself for anything this Summer. Maybe you need a sharp blade to break down a cardboard box or open a package? A rope cutter to cut tags off your new clothes? Or, a glass breaker to shatter glass? Whatever your reason, you need a trustworthy knife that you can depend on for any situation. I was able to test out one of the Kentucky Cutlery Company’s bestselling knives as part of the 2018 National Hardware Show and have found myself impressed! With a sleek handle, an easy-to-use blade, and a compact design, you’re ready for the unexpected when you have the Fire Fighter Rescue Knife. I love how easy the knife blade is to open and close. The spring-assisted blade makes it easy to quickly pop open or snap shut. While I have yet to use the glass breaker or rope cutter, they are nice added features to the knife making it usable for several situations. In addition to the usability of the knife, I love how sleek and fancy it looks! 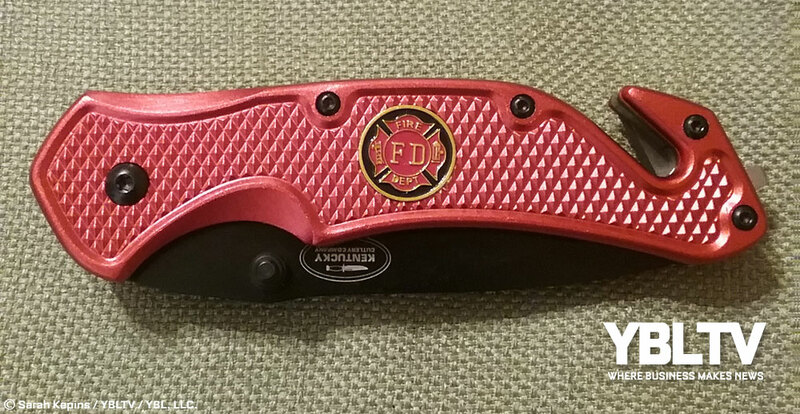 Even though I’m typically not a fan of red, I am a fan of it on the knife, especially since it adds to the firefighter theme. 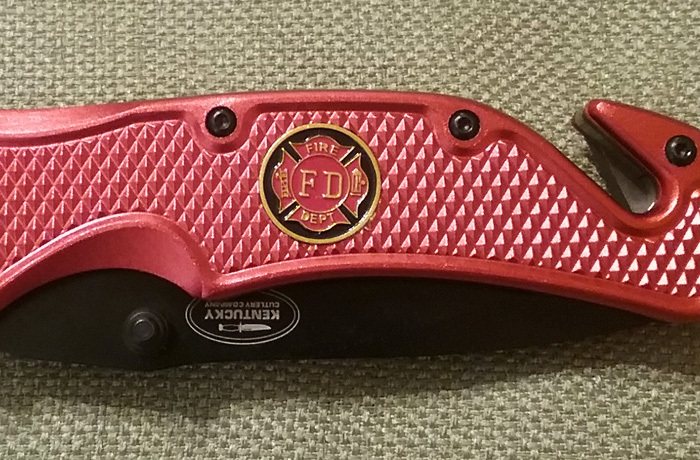 The black blade is a nice contrast to the red, and the firefighter medallion completes the look. Imported by A & M Wholesale Group, I recommend the Fire Fighter Rescue Knife for this Summer. 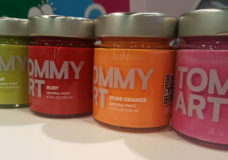 It’s sleek, easy to use and serves several purposes – great to bring along for camping! The Fire Fighter medallion adds a decorative flair and completes the theme. Plus, it’s priced under $5 which also makes it affordable and ideal for gift giving for the firefighter or knife lover in your life! 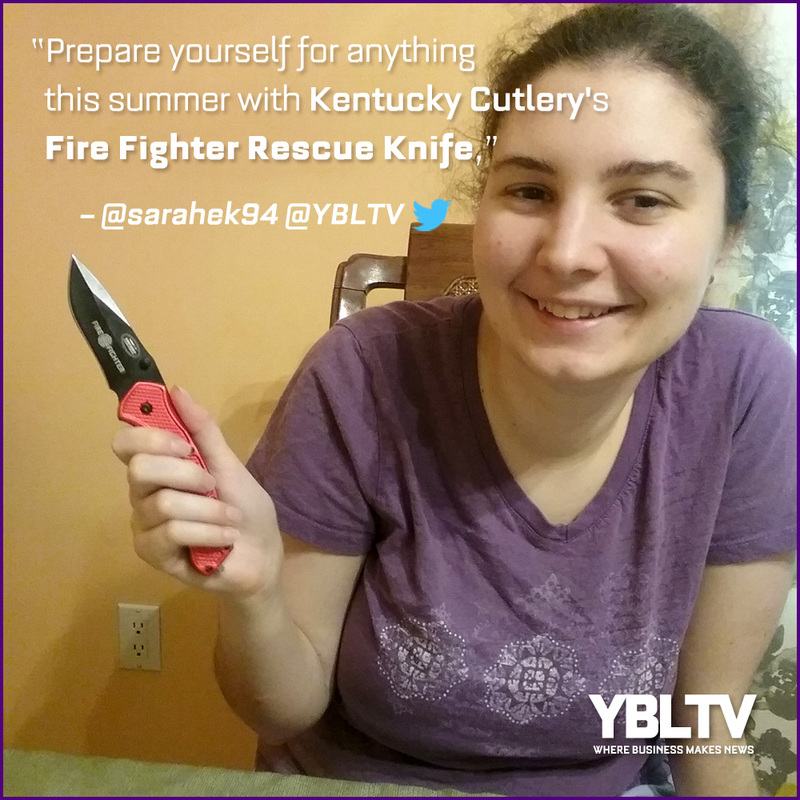 Disclosure of Material Connection: YBLTV Writer / Reviewer Sarah Kepins, received a Kentucky Cutlery Fire Fighter Knife from A & M Wholesale Group in consideration for a Product Review.